Nash Next | Commit Marketing | A Full-Service Marketing, Web Design & Development Firm Located In Sarasota, FL. 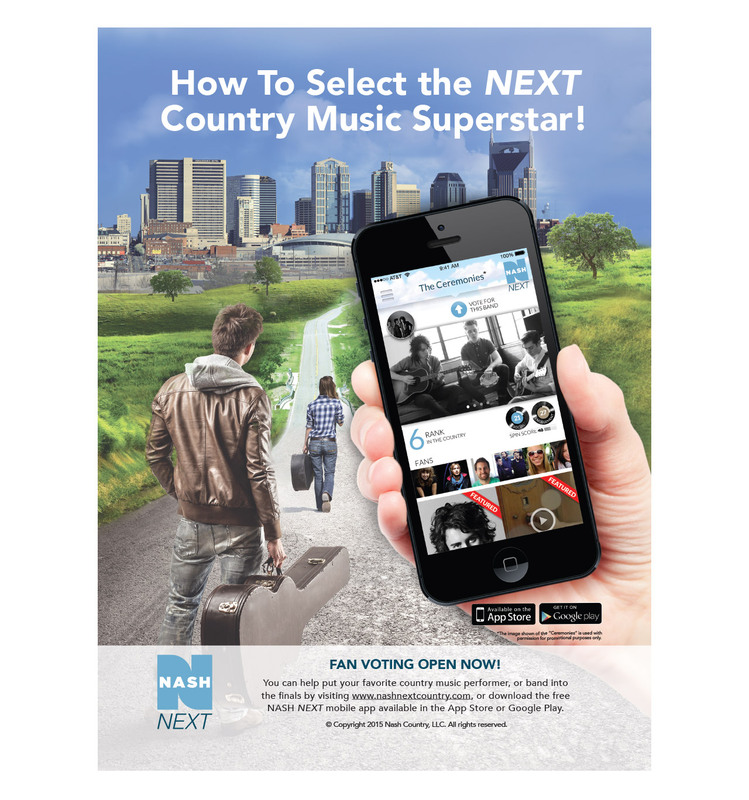 Nash Next is an artist development competition by Cumulus Media that has the country music world in-tune for the hottest undiscovered talent. As the competition got underway, our team supported the design and advertising efforts for Nash Next. 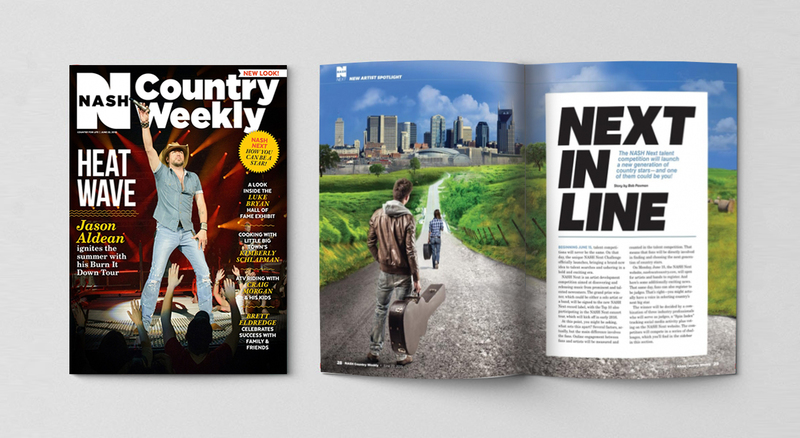 The initial full-page design was featured to announce the launch in Country Weekly Magazine. Soon after, we followed the overall direction to design future ads promoting the competition judging, social media and their mobile app. 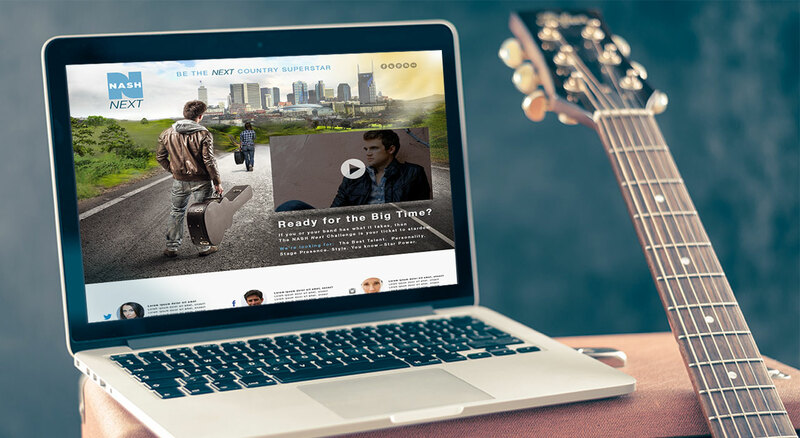 Delivering a focused message to country music fans was the end goal. The team at Commit to dove into a unique market fueling a new generation of followers to this evolving genre. This new wave of young and undiscovered talent competed while we reinforced their message of what was Next in country music.